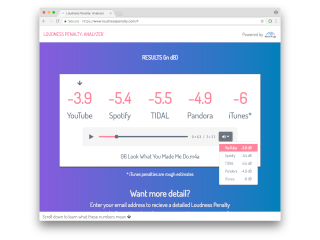 See the Loudness Penalty plugin in action. Share your music knowing it will hold up online. No need to leave your DAW. Find exactly which parts of a song trigger the biggest penalty. Show them how streaming services affect loudness. No more trial and error, no more guessing. We deliberately chose the name "Loudness Penalty" to be a little provocative, but it is accurate. The louder your music is, the more it will be turned down by online streaming services, to avoid "blasting" listeners with unexpected changes in loudness. 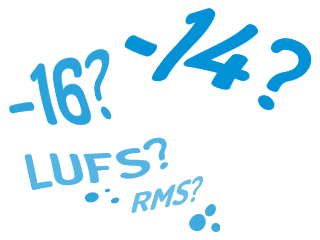 You may think that your music sounds fine, even when it has been turned down, but with Loudness Penalty you can be sure. Preview your music live, and test whether you want to take advantage of the opportunity for more dynamics.